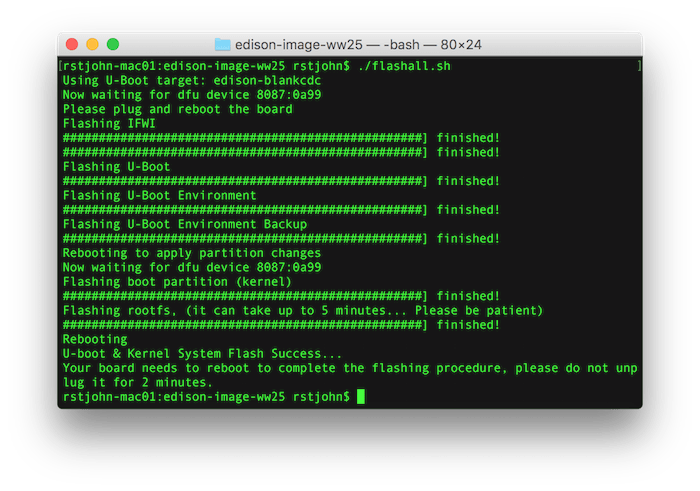 El Capitan requires a different set of instructions to setup with Intel Edison. This guide walks you through the setup process. 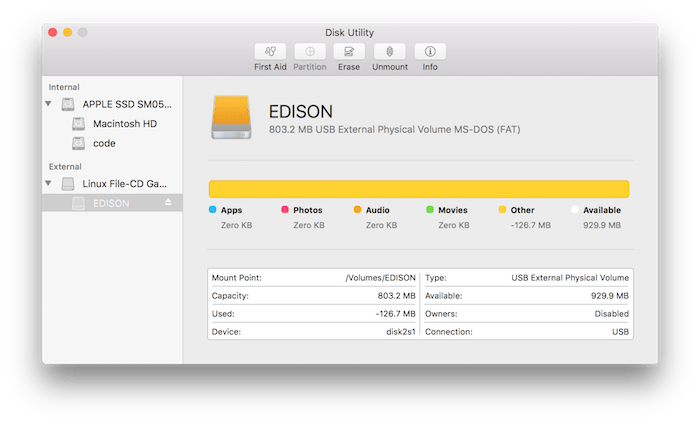 First, open Spotlight (“Command + Space Bar”) and type “Disk Utility” to open the Disk Utility. If you have both your USB cables plugged in, you will see an EDISON listing. 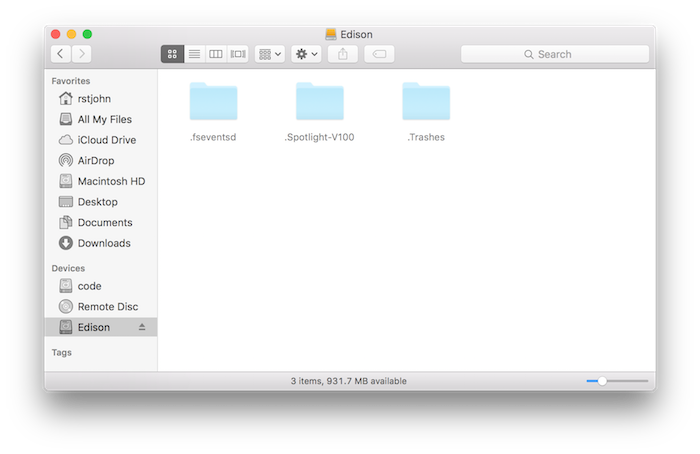 Next, select your EDISON listing and click the “Erase” button at the top. Under the “Erase” menu, click the “Format” button and select MS-DOS (FAT) as below. Now click “Erase.” After some time, your Edison will be partitioned and erased correctly. Now we need to flash the board. Download and unzip the Yocto complete image from software.intel.com (again, skip the integrated installer). Open “Terminal” (Command + Space Bar and type “Terminal” to use Spotlight). Navigate via BASH to the folder where you unzipped the Yocto complete image. If you don’t have HomeBrew on your machine, run this command. You may need to add “sudo” before these commands to make this work. Now your Edison is flashed!